Airbnb allows people to rent out their home to overnight guests in order to bring in some extra cash. The service is popular in cities like Boston, where there is a high demand for hotels and short-term rental homes. However, as Engadget reports, listing a home on Airbnb creates myriad legal challenges including the potential violation of agreements preventing subleasing as well as city-specific restrictions on rental properties. One big issue that is a concern for those renting out their homes (or for landlords whose tenants rent out space) is what happens if someone gets hurt in the home. A Boston premises liability lawyer knows a property owner or a renter is generally responsible in situations where an injury happens in the home if the injury occurs as a direct result of a failure to maintain the property. The specific standard of care that a property owner has differs depending upon the status of the person inside. However, since Airbnb facilitates commercial transactions, homeowners and renters would typically be expected to exercise extreme caution in ensuring these properties are safe. Property owners who invite customers into their space for a commercial purpose have the highest duty of care to their customers. The customers are classified as invitees. Property owners or renters need to inspect the premises before an invitee comes over and need to ensure that they correct any hazards or warn guests about them. By contrast, most homeowners and apartment dwellers who just casually have friends over are not held to the same standard as those who run a commercial store, hotel or restaurant. They do not have to inspect the premises, but instead only have to correct or warn guests about hazards they know of or reasonably ought to know about. When a homeowner or a renter lists a home on Airbnb, this can create a commercial transaction, which may impose a higher duty of care. Not only can this create a legal issue for homeowners (and potentially lead to problems with homeowner’s insurance coverage) but landlords can also find themselves with many more people coming and going to an apartment where they have some legal responsibility. An apartment-dweller would be responsible for problems within the unit in most cases, but a landlord could become liable if an accident happened in common areas like lobbies or steps leading up to a building. Airbnb has reportedly made a “great show of goodwill” now by offering a $1 million Host Protection Program. According to Engadget, Airbnb will provide protection to hosts and to their landlords in situations where a guest is hurt in a house or building and makes a claim. However, there are exceptions to the protection. For example, it will not cover injuries caused by “defects” or injuries that were intentionally inflicted. Of course, the question is how broadly Airbnb defines defects. 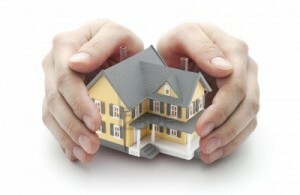 Because premises liability laws will typically only hold homeowners or renters liable for injuries caused by negligence, and because defects may be considered negligence on the part of the owners, it is possible this “protection” won’t actually do very much at all to shield those listing their homes from liability.